Some discomfort is to be expected after a tooth is extracted; however, the discomfort can be minimized with a painkiller, antibiotic in some cases, and ice packs applied to the face. This discomfort should lessen within two to three days; if discomfort does not lessen or becomes worse, please call our office immediately. Wisdom teeth, also known as “third molars” are the last teeth that develop in the back of the mouth. Wisdom teeth tend to come in between the ages of 16 and 20. When the jaw is not large enough to accommodate wisdom teeth, they can become impacted (unable to come in or become misaligned). In some cases, entrapped wisdom teeth can lead to extensive damage of the adjacent teeth and need to be extracted. 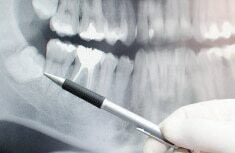 If the patient has enough room for their wisdom teeth, if they are healthy and not causing damage to the adjacent teeth, wisdom teeth can be left in the mouth. 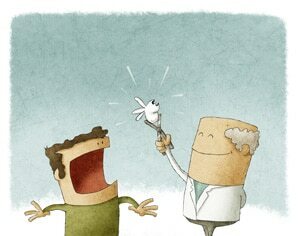 The dentist will evaluate the tooth with an X-ray and determine if the tooth should be extracted. Local anesthetic is routinely used during extraction; nitrous oxide and minimal sedation are available upon request.